This is the box card that I made for my daughter who always displays my cards on her desk ( so they have to be va-va-varoom! Right?) 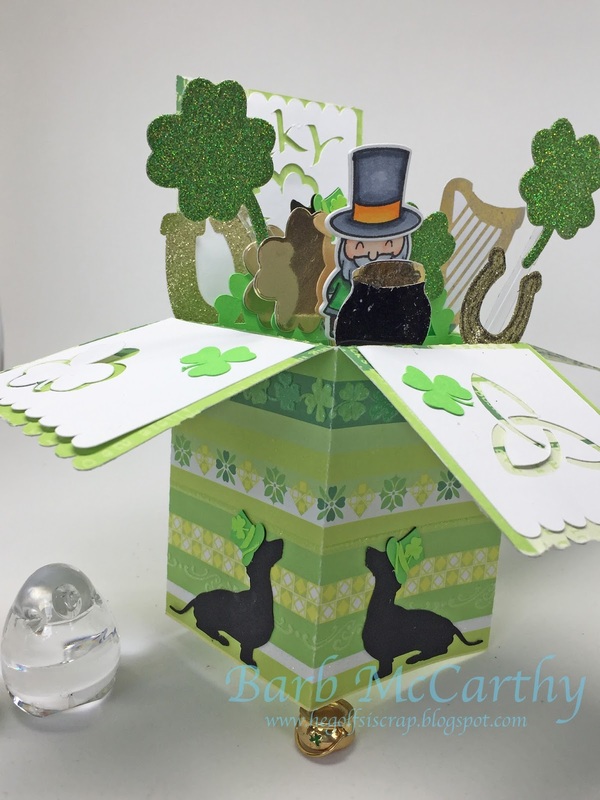 We have Dachshund sisters, Judy and Julie, so they often appear on the cards!!! A view from the top!!!! 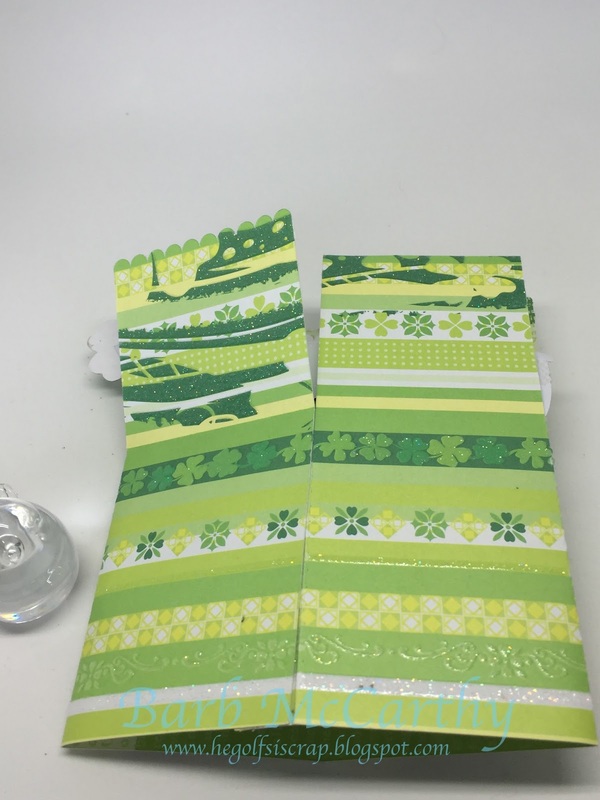 It folds flat for mailing!!! 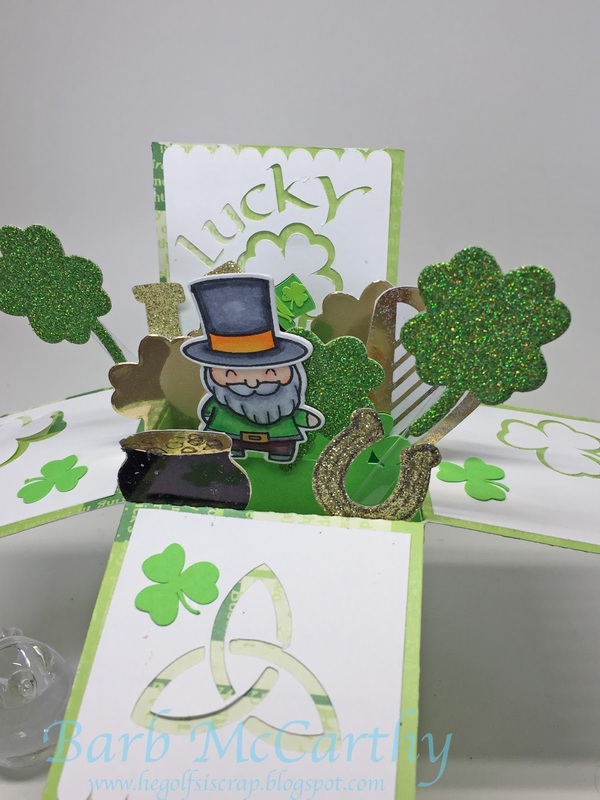 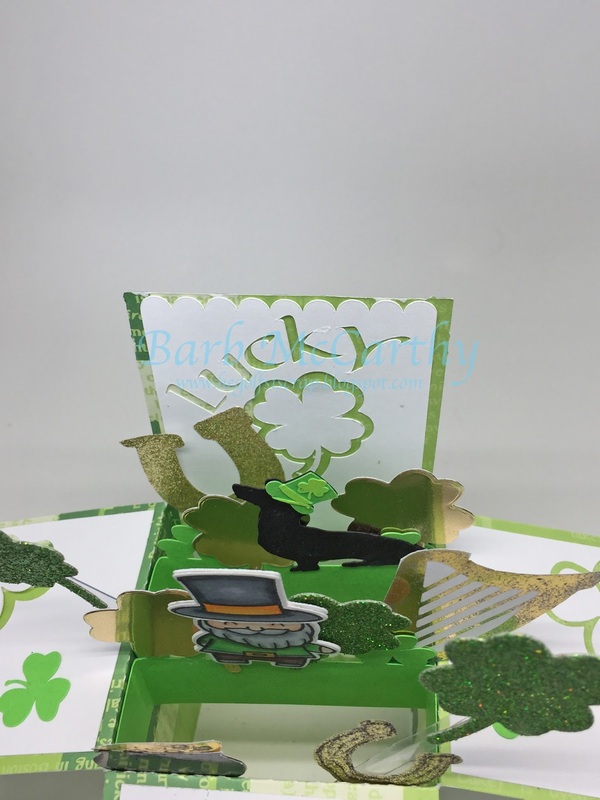 Wonderful St Patrick's Day card in a box.